Two reports show the nation’s manufacturing sector is making continued improvements following a bumpy ride that began last year and early this year. 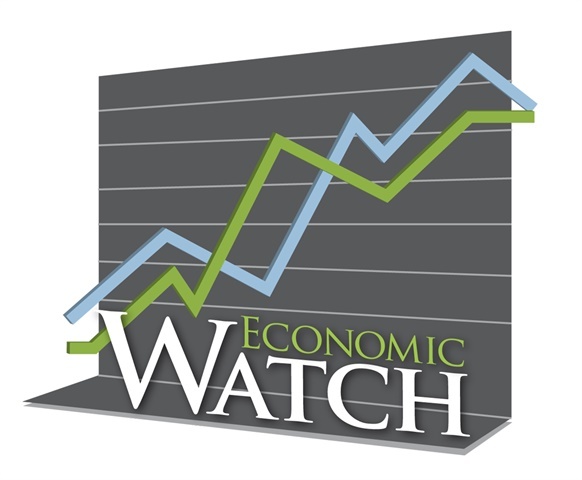 A survey of the nation’s purchasing managers by the Institute for Supply Management shows economic activity in the manufacturing sector expanded in June for the fourth consecutive month, hitting its highest level in 16 months. The Purchasing Managers Index registered 53.2%, an increase of 1.9 percentage points from the May reading of 51.3%, the highest reading since February 2015. A reading above 50% indicates that the manufacturing economy is generally expanding; below 50% indicates that it is generally contracting. Early last fall the gauge fell below 50% and was there for five months before rising above it in March. ISM’s New Orders Index registered 57% in June, which is an increase of 1.3 percentage points compared to the 55.7% reported for May, indicating growth in new orders for the sixth consecutive month. Overall, of the 18 manufacturing industries, 13 reported growth in June, and 12 reported increased new orders. The most recent government figures show the GDP increased at just an 1.1% annual rate in the first quarter, while many analysts expect the second quarter rate to be in the neighborhood of 2.5%. A separate report, from the financial information services provider Markit, is also encouraging. Its measure of manufacturing activity hit a three-month high, with U.S. manufacturers reporting a slight rebound in production volumes during June, helped by the fastest rise in new work since March. The seasonally adjusted final Markit U.S. Manufacturing Purchasing Managers’ Index registered 51.3 in June, up from 50.7 in May. The earlier, preliminary reading for June was 51.4, with a reading better than 50 indicating expansion. Higher levels of production, new orders and employment all helped to boost the headline index, while an accelerated fall in stocks of purchases was the only negative influence, according to the report. A rebound in export sales provided a boost to manufacturers’ workloads in June. Moreover, the increase in new orders from abroad was the fastest since September 2014. This contributed to an upturn in backlogs of work across the manufacturing sector for the first time since the start of 2016. However, Chris Williamson, chief economist at Markit, noted that although the manufacturing PMI ticked higher in June, the latest reading rounds off the worst quarter for goods producers for six years. According to Williamson, producers are struggling in the face of the strong dollar, the energy sector decline and presidential election jitters. “With companies craving certainty, heightened tensions between the U.K. and the European Union are likely to unsettle the global business environment further in coming months, and therefore risk dampening growth in the U.S. and export markets. The data flow in the next two months will therefore be critical to policymakers in gauging the appropriate outlook for interest rates,” Williamson said. A third report released Friday shows building in the U.S. moved lower in May for the second straight month, falling 0.8% below April’s revised level of a 2% drop. According to the Commerce Department, despite the most recent decline the May level is 2.8% higher than the same time a year ago. Construction spending in the first five months of 2016 is 8.2% better than the pace from the same time in 2015. The May drop was spread across the different building sectors, with government building down 2.3% and smaller drops in housing and non-residential construction. Construction has been one of the relatively brighter spots in the U.S. economy, with some analysts saying the sector is feeling the effects of the nation’s poor overall performance in the first quarter of the year. While the back-to-back drops took some by surprise, and will likely be a bit of a drag on overall economic activity, the sector is expected to improve in the summer months.